WPC eco-friendly external wall panel main use of agricultural waste plant fibers and plastics, processed through a unique scientific formula and advanced extrusion technology, with high strength and hardness, corrosion resistance, no distortion, no formaldehyde, is the real green eco-friendly products,in order to make customer satisfaction, seven trust select high-quality raw materials, production focused on every detail to ensure produce high quality products. 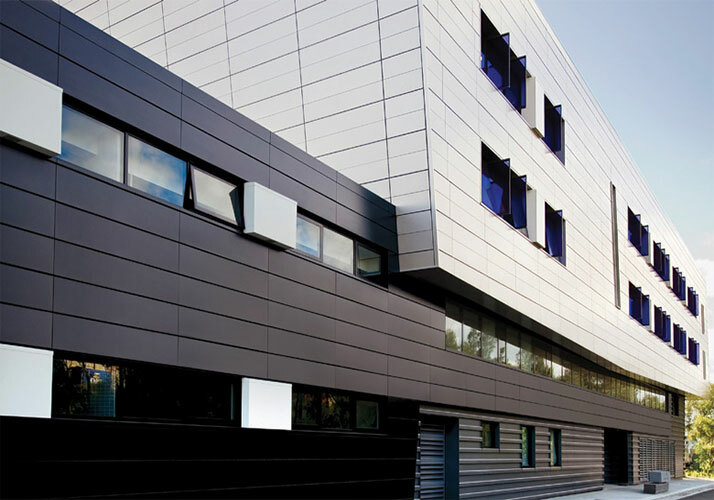 External wpc wall panel application make the building looks natural and beautiful, able to withstand a variety of adverse weather, fire-retardant , free maintenance, easy to install. as wpc wall panel manufacturer both in the production process or in the engineering practice, and not pollute the environment and can be recycled, is the ideal green decoration materials. 1. A wide range of sources of raw materials: the production of wood-plastic raw materials mainly high-density polyethylene or polypropylene, wood fiber can be wood flour, bran or wood fiber, also need a small amount of additives and other processing aids. 2. Nature appearance: wall panel appearance of wood grain design, with low cost, all kinds of different colors. meanwhile supply different size ,shape, in order to meet customer needs. 3. Anti-aging, excellent weathering performance, long life: wpc wall panel using a highly efficient, long-lasting UV stabilizer consisting of a special composite material, anti-aging, anti-radiation, can resist all kinds of weather, under the influence of natural weathering can look as new, so that once and for all from your maintenance, service life more than 20 years. 4. Widely applications: external wall panel application for apartment, bathroom, office and other place, meanwhile, Installation process is simple and quick, almost protected from the weather. Full dry operation, solid and reliable, while saving time and labor, shorten the construction period, greatly reducing installation costs.